In this day and age North Yorkshire Commercials understands that time is literally money in the haulage industry that’s why we will ensure to get you back on the road as quickly as possible with minimal fuss. The service, maintenance and repair workshops are equipped with up to date machinery, technology and diagnostic equipment which we continue to invest ensuring our customers have minimal down time at all times. 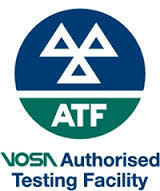 We also provide servicing, maintenance, repairs and inspections to all makes and models of HGV / PSV. At North Yorkshire Commercials we provide maintenance packages and contract hire tailored to the customers specific needs and with our own HGV paint shop we really can deal with all our customers needs. At North Yorkshire Commercials we provide our own roadside assistance vehicles, Technicians are on call right around the clock with 24:7 cover provided 365 days a year by MAN Mobile 24, MAN complete roadside emergency response service. NYC Assistance is the key to getting you back on the road again as quickly as possible.